How Does the Flu Differ From the Common Cold? A cold, on the other hand, tends to be milder and less likely to cause serious complications. Simply put, when you have the flu, you will feel much worse. 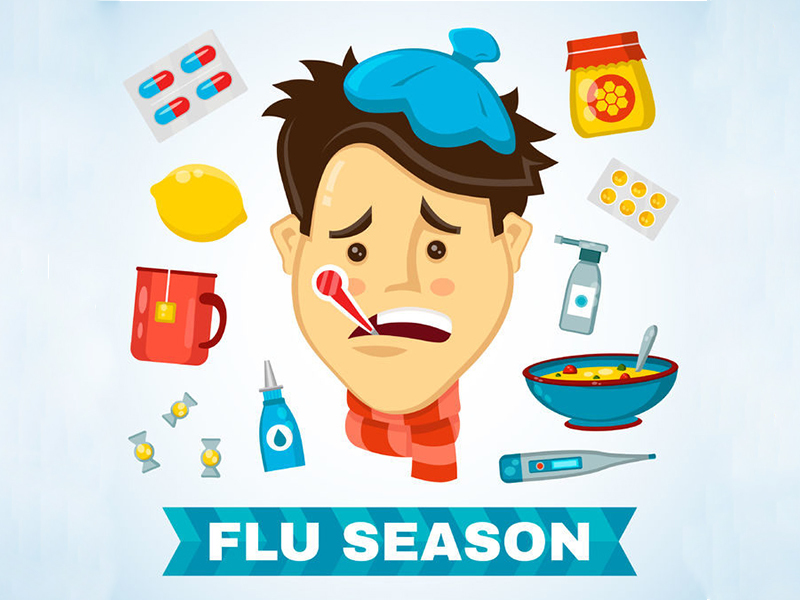 For most individuals, the flu symptoms start to disappear in about five to seven days after illness onset. How to prevent or fight the Flu? Wash your hands often with soap and water for at least 15 seconds, especially after coughing or sneezing. Alcohol-based hand sanitizers also work to kill the virus. Do not get too close (kissing, hugging) to people who are sick. Do not share cups, food, drinks, or silverware with anyone who is sick. If you think that you may have flu call your health care provider to inquire about early initiation of antiviral therapy. When you’re dealing with symptoms of Flu-Like symptoms and you want a quick relief of your symptoms. While there are plenty of things you can do yourself to help your body heal and prevent further infections, the best course of action is usually to have an evaluation by a medical professional and possible prescription of anti-viral medication. If you don’t relish the thought of taking time out of your day to sit in a germy waiting room, order urgent care visit to your home and relax at home instead!